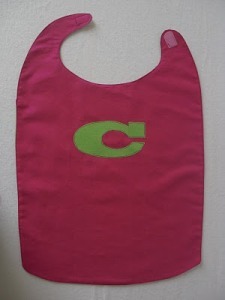 Care from Obsessively Stitching shows how to make a child’s superhero cape out of a pair of dishtowels that she picked up at the dollar store. A Velcro closure makes it easy to put on and take off. If you don’t have dish towels handy, you could easily cut the pattern out of yardage. Go to the tutorial.